After the horrific sacrifice of Canadian soldiers in World War One, Canadian Memorial Chapel was conceived and built as a unique tribute to the men and women who gave their lives. Ten large windows celebrate two significant historical events in each province: twenty scenes including figures like John Cabot, Jacques Cartier, Captain Vancouver, Tecumseh and Louis Riel. Padre George Fallis made a solemn commitment to the many Canadian soldiers whose funerals he presided over while serving in France and Belgium as a field chaplain during “the Great War”: he would create a substantial peace memorial in their honour. After he made a cross-Canada fundraising tour, Padre Fallis’ remarkable Memorial was completed in 1928. 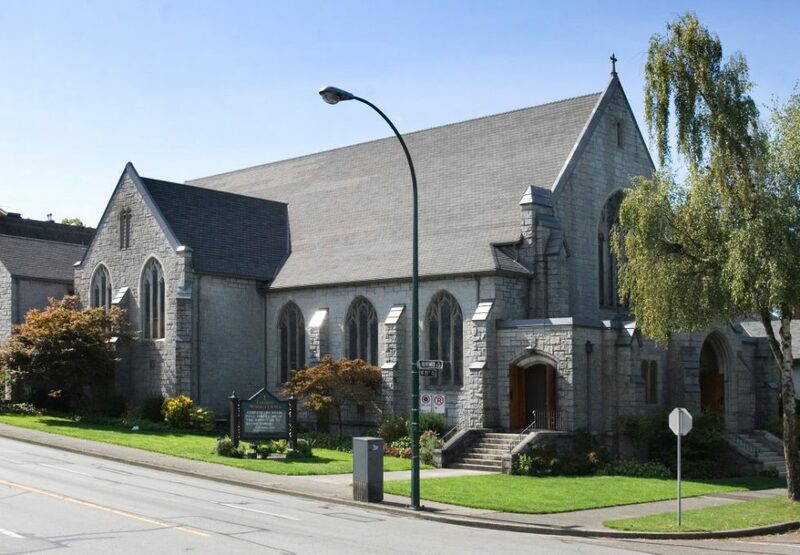 The Memorial Chapel was designed by the Vancouver architects Twizell & Twizell. Sir George Foster, K.C., M.G., the President of the League of Nations Society in Canada, turned the first sod on July 1, 1927. The Hon. Walter C. Nichol, Lieutenant Governor of British Columbia, laid the corner stone on September 17, 1927 and the address was given by Major-General W.W. Foster, C.M., D.S.O. The Chapel was dedicated November 9, 1928, following which the first communion was conducted by Rev. W.G. Wilson, M.A., D.D., President of the BC Conference of the United Church of Canada.